It is our goal to ensure that everyone who comes to us leaves better than when they came. 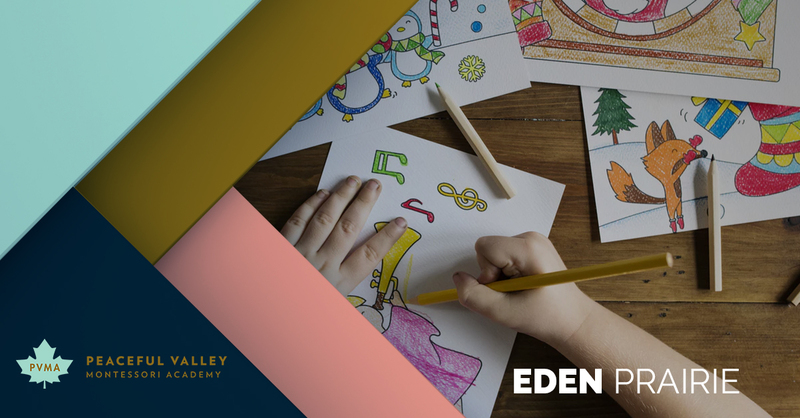 Nestled near the corner of Highway 5 and Dell Road, our Eden Prairie Montessori school location serves families from the entire west metro area including Eden Prairie, Chanhassen, Victoria, Minnetonka, Chaska, Bloomington, Shakopee, St. Louis Park and Golden Valley. The indoor environment in at our childcare facility in Eden Prairie consists of three Children’s House preschool programs, two toddler environments, and two infant environments. Preschool program hours are 7:00 a.m. to 6:00 p.m., including lunchtime, snack time, and naptime. Whether you enroll your child in our preschool, toddler, or infant program, you can rest assured that each of our purposefully prepared environments is physically and psychologically designed for the children to move freely, choosing work that interests them and meets their developmental needs. The space also features two large indoor environments for the children to participate in soccer, yoga, art, and large muscle activities outside of the work cycle on those MN days when outdoor play is not an option. The Eden Prairie location also boasts four outdoor environments with two playgrounds and two courtyards. Each room is connected to one of the four outdoor spaces. The toddler and preschool playgrounds are separate, allowing for safe and age-appropriate large muscle activities and outdoor learning. The South Courtyard features a large open space for running and playing under the shade of the mature trees just outside the fence and observing the hawk which frequents the sky above. The South Courtyard also has several garden beds where the children are encouraged to connect with nature and to nurture living things. The Pine Tree Courtyard is the perfect venue for engaging in our work cycles on a beautiful day, or for having a picnic if the children are moved to do so. It features picnic tables and large pine trees offering shade and a closer view of the squirrels and birds which the children enjoy observing. Ready to learn more about our Eden Prairie Montessori school? Contact us today at 952-934-7862, or apply and enroll online now! Please do not fill this form out if you're a solicitor. ©2018 Peaceful Valley Montessori Academy - Do not copy. All rights reserved.